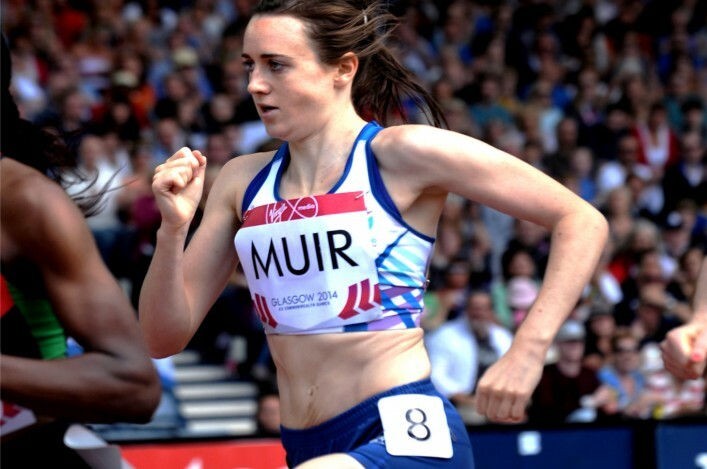 Laura Muir started her 2015 track season in spectacular fashion in Holland on Sunday evening. 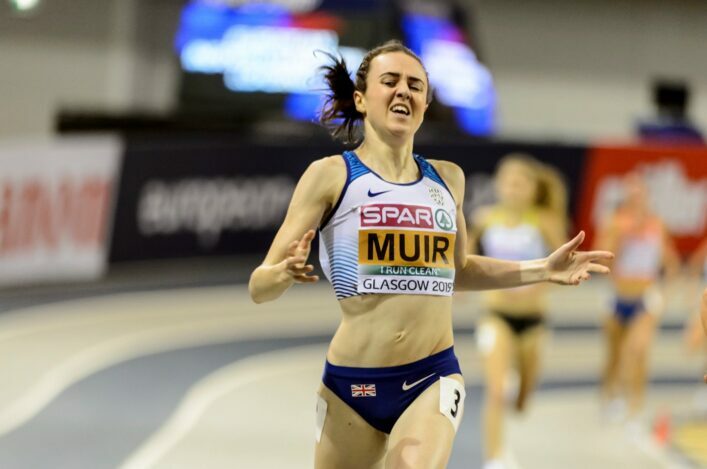 The GB international, who was fourth in the European indoors at 3000m, came up with a fine run of 8.38.47 in Hengelo for the third best all-time performance by a Scottish woman at that distance outdoors. Muir finished second in the race as Kenyan athlete, Irene Jelagat, clocked a World Lead time of 8.36.90. It was a big PB for Laura in terms of her outdoors best and only Yvonne Murray and Liz McColgan have run the 3000m faster. 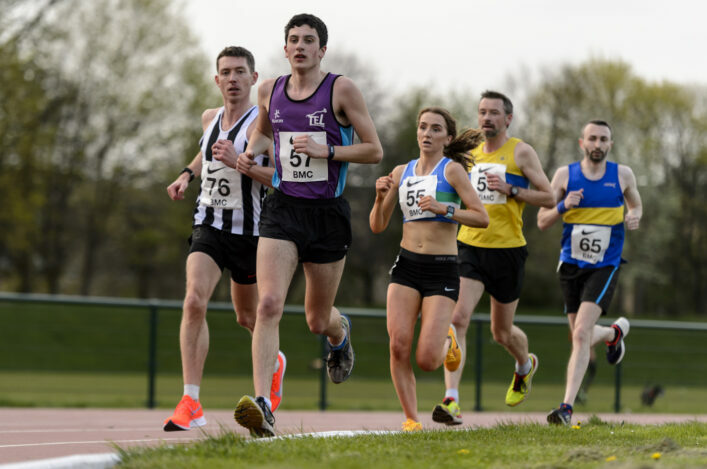 The 22-year-old Dundee Hawkhill athlete, who is coached by Andy Young, has of course already eclipsed those names when setting the Scottish 1500m best last summer. Paula Radcliffe offered Laura support and encouragement on a visit to Glasgow recently for the Great Women’s 10k and now a first performance of the season augurs well with the World Champs in Beijing a big target. Looking at the British all-time list, we make the Scot’s run on Sunday as the best for more than a decade by a British female athlete at 3000m! Laura wasn’t the only Scot in action in Hengelo, with high jumper Allan Smith at 2.22m to finish second in the competition. Less than 24 hours before Muir’s great run, Andrew Butchart was another Scottish athlete making in-roads on our all-time lists. The GB international and Scottish National XC champion is tuning up for a first appearance on the track for GB at the European 10,000m Cup in Italy. 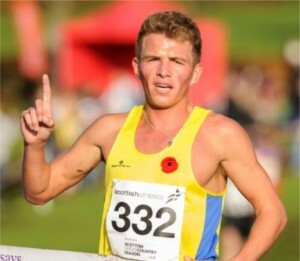 And Andrew did so with a 13.33.04 run over 5000m to finish sixth at IFAM event in Oordegem in Belgium. That’s the seventh best run of all-time by a Scot over the distance and a big improvement on his erstwhile 13.58 PB. In a separate heat, Callum Hawkins clocked 14.06.57 for 17th place – an outdoor PB after 14.03 indoors in America a couple of years ago. Central AC’s Dale Colley won the men’s 1500m with a new PB of 3.48.84. Guy Learmonth finished sixth in the 800m with 1.47.65 as Emily Dudgeon improved on her Loughborough time to clock 2.03.79 in the women’s 800m. Kirsten McAslan was an event winner in the 400m with a run of 52.83. Scottish athlete Emma Canning claimed victory at the England Athletics Combined Events champs in Bedford over the weekend. 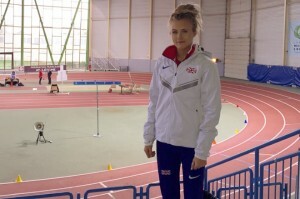 The Whitemoss AAC athlete won the U20 title as she scored 4768 points (improving last year’s hepathlon tally by more than 200 points) thanks to some event PBs including a 1.70m high jump. It was a great start to the season for Canning, who picked up a bronze medal indoors at the England Athletics pentathlon and represented GB in France at an U20 international. Tom Chandler of Central AC collected a bronze in Bedford with 6285 points. 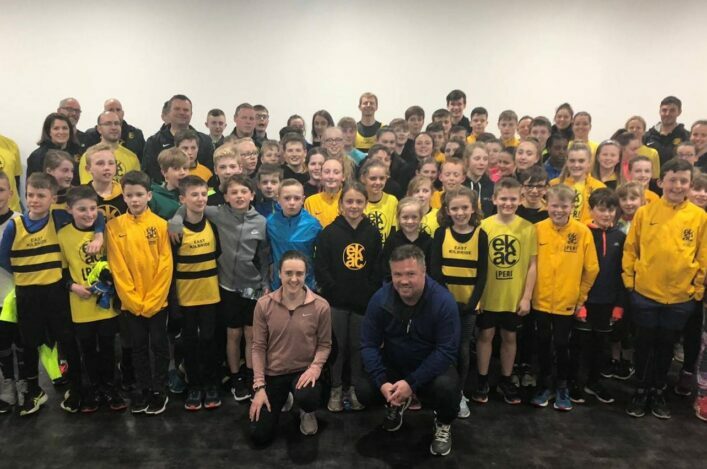 The Scottish Combined Events Champs are now open for Grangemouth on July 11 and 12 at Grangemouth with details on how to enter in another story. Scotland international Luke Caldwell was in action in the Bupa London 10k road race on Monday and finished third behind winner Andy Vernon. That ensured a British 10k road race Champs bronze medal for the Commonwealth Games athlete. 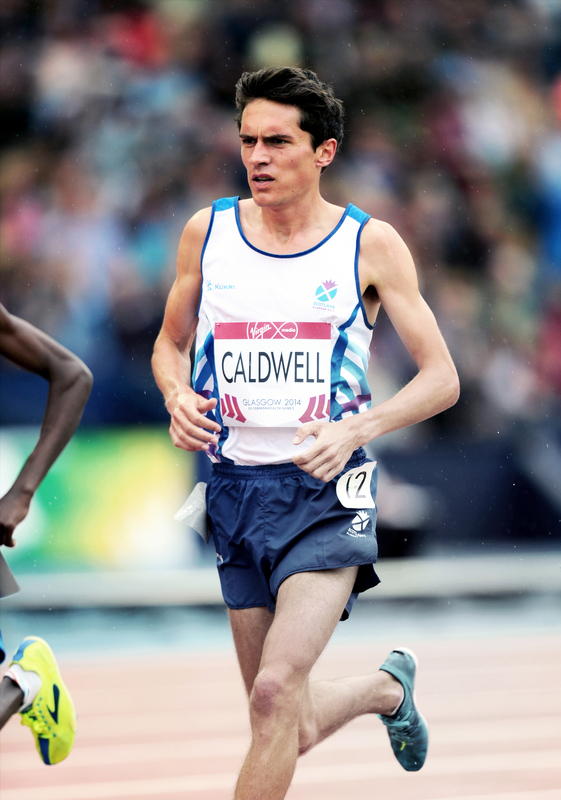 Caldwell ran 29.14 with Andrew Butchart, who had raced in Belgium on Saturday night, fourth in 29.18. Beth Potter came up with a season’s best 34.15 for 8th in the women’s race in London, which was won by Jo Pavey.